Sachet Magic is an eco-friendly and easy to use range of pre-dosed concentrated cleaning products encapsulated in fully water-soluble sachets. 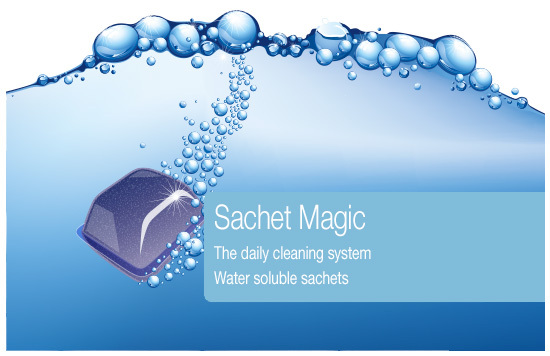 The Sachet Magic range covers the daily cleaning needs for today's demanding professional. Saving money, time and waste without compromising on high standards of cleanliness and performance.